Why is it so important to write clearly and concisely? When you choose your words deliberately, manage each paragraph strategically, and orient your writing to a particular purpose, you make the greatest impact. Let’s look at many different digital sources to help us understand why concise writing is best way to meet goals as a writer. You can tell a whole story with very few words when you use compressed language. A paragraph of compressed language may, actually, accomplish more than an entire 5-paragraph narrative. Check out these 10 Techniques for More Precise Language to help you develop strategies for writing with compressed language. Succinct prose is like poetry: every phrase carried with it a visual image. These images connect your reader to your ideas and experiences. Here is an article from a self-published author with suggestions how to adapt the conventions of poetry to prose. When you write succinctly, you can accomplish several purposes instead of just one purpose. Honestly, when we write for only one purpose, we often end us using lots of filler words and terms. Here is an overview of the four writing modes to give you an idea of how you can accomplish a lot with multiple purposes in mind. Since many readers have short attention spans, you keep your readers’ attentions with compressed language. Otherwise, your readers probably won’t finish reading your narrative. Your reader comes to understand your main point in a limited amount of time. That’s important when you want to capture and hold the reader’s attention. Here are Five Features of Effective Writing to help you reach your reader. In the age of soundbites, your audience expects succinct messaging. Read Keeping the Purple Out of Your Prose for ideas. You say the most with the least amount of words. Here are 15 Ways to Write Tight to help you get to the point quickly and well. 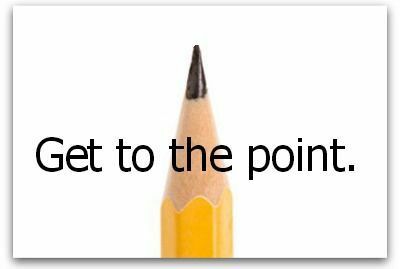 You are able to make multiple points when you write succinctly; thus, you support your argument well. If you’d like to investigate ways to use evidence to support your main idea, read The Language of an Argument for many examples. Compressed language is efficient, descriptive, and sophisticated. Writers who compose with compressed language demonstrate expertise about a topic. How to Write a Sophisticated, Dynamic Scholarly Article has lots of very sophisticated suggestions! Compressed language is a signifier of authenticity. When your language is compressed, you are able to persuade others through a series of embedded meanings and messages. This blog post from the Huffington Post offers writers lots of methods to infuse your own original voice into your writing. Yes, concise writing takes time for revision. But the power of your final product will be worth it. This entry was posted in authentic texts, English language arts and tagged college essay, digital literacy, writing strategies on September 20, 2015 by c4tuna. Carolyn delivered a presentation titled, “Modeling the Digital Writing Workshop” at the Rhode Island Writing Project annual spring conference. She demonstrated how teachers can move from pre-assessments into scaffolded learning events and onto student proficiency in digital analysis and composing. March, 2013. Providence, RI. This entry was posted in authentic texts, digital literacy, English language arts, media messages, online instruction, secondary education, technology tools on March 22, 2014 by c4tuna. Carolyn shared two curriculum units at NCTE. The first was “(Re)Imagining Ibsen’s A Doll’s House with Critical Literacy.” The second was “Online Persona Role Plays: Advertisement Analysis.” Each offered participants the opportunity to see how students can depersonalize their literacy experiences to more keenly relate to individuals, settings, and cultural practices outside what’s considered “normal.” Digital media literacy analysis and composition helped students create critical distance from media messages. November, 2013. Boston, MA. This entry was posted in authentic texts, cultural studies, digital literacy, discourse, English language arts, media literacy, media messages, popular culture, professional development, secondary education, technology tools on March 16, 2014 by c4tuna. Carolyn and Brian facilitated a workshop to educators and teacher education candidates called “Off the Track: A New Approach to the Heterogeneous Classroom through Multigenre, Multimodal Literacy Learning.” Providence, November, 2012. This entry was posted in curriculum integration, digital literacy, education, English language arts, media literacy, media messages, professional development, public education, secondary education, technology tools and tagged heterogeneous, multimodal, Rhode Island College, teacher research on July 7, 2013 by c4tuna.